For the first time in many years, the 23rd of January has assumed significance in the media and the public eye. Despite it being the day when Netaji Subhash Chandra Bose was born, one of India’s greatest freedom fighters, it has rarely been observed with the reverence that the birthday of some other national leaders have. This year though, things are different and there’s significant media and public focus as Prime Minister Modi prepares to declassify 100 files on Netaji, which many hope would shed light on the mysterious circumstances surrounding his death and a possible coverup; which quite honestly seems to be the only reason for which he is remembered in the 21st century. But, Netaji was much more than his death. He remains in many ways an unsung hero, whose life and deeds were marked with remarkable tales of bravery, and decisions that were so out of the box, that at times it defied logic and reason, and a sense of idealism that would have put most politicians to shame; all of which were driven by his unquestionable love for the motherland. 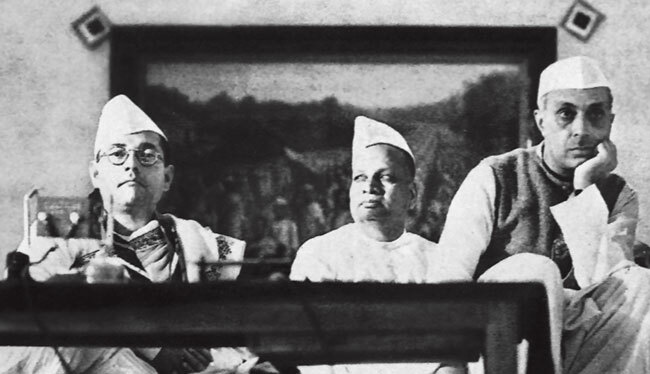 Netaji Subhash Chandra Bose ‘s relationship with the crème-de-la-creme of the Indian independence movement could be described fractitious at best. While he and the Gandhians were nominally working towards the same goal, there was significant difference in their methods. Gandhi was an avowed pacifist while Bose strongly believed that any method to gain independence was fair game. Indeed, he was one of the first people to demand full independence as early as 1928 and severance of all ties with the Empire, while much of Gandhi’s supporters (with the odd exception of Nehru himself who sided with Bose initially), were ready to be placated with Dominion status and only used the Poorna Swarajya card as a tactic to arm twist the British Govt. This was the first of many fissures between the young, and somewhat green Bose, and the revered patriach of the Congress, and despite respect on both sides, it only got worse as time progressed. Around the time that Nehru clearly became Gandhi’s chosen one, Bose became the prodigal son, as he veered more and more to the political left, and expressing admiration for authoritarianism; which was not Kosher in the Congress circles. Things finally reached a head during the 1939 Congress session in Tripuri, when Bose won the Presidency with the help of the southern voting bloc backed by Muthuramalinga Thevar, but resigned from the post, when Gandhi expressed disappointment that his chosen candidate Pattabhi Sitramayya had lost the election. This led to Bose forming the Forward Bloc, which while nominally a part of the Congress, and unifying the more miltant-leaning political left, had no real force of authority in the larger scheme of things, more so after Bose’s dramatic escape from house arrest to Afghanistan and Europe thereon in 1941. The most commented part of Netaji’s life is his meeting with Adolf Hitler and siding with him, and Imperial Japan later on, in order to affect a militant operation to secure India’s independence. Netaji’s critics constantly point out that him willing to form the Freies Indische Legion under the German Wehrmacht (where the men had to pledge allegiance to Hitler) is a clear indictment of his fondness for extremist ideologies. This was far from true, as it is quite well-documented that Netaji Subhash Chandra Bose was opposed to the racialist and fundamentally discriminatory ideas of Nazi Germany, but had to play along for the greater goal of Indian independence. While such a stand might seem a tad myopic, one cannot question Netaji’s intentions here. This also seems to be the view of many, if not all, contemprorary German historians as well, as this author can attest, having attended talks on ‘Nazism in the developing world’, where a clear distinction is made between the pragmatists (such as Bose), and the ideologically congruent ones (such as post-war Argentina under Peron). Netaji’s intentions of launching a military operation with the co-operation of Germany and Russia fell apart with the commencment of Operation Barbarossa however, and the remaining member of the Freies Indische Legion defected to Switzerland with the defeat of Nazi Germany in 1945. Netaji tried his luck next with the Japanese, and while experiencing some success here with the formation of the Azad Hind Govt. and the capture of Andaman and Nicobar, it was all but clear that he was fighting a losing battle, especially with the dwindling support of the Japanese towards the end of the war. 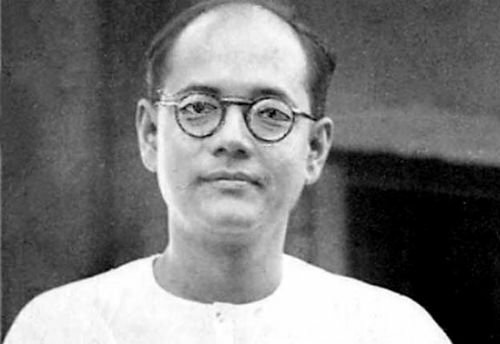 It was a somewhat weather-beaten and tired Netaji Subhash Chandra Bose who took that fateful plane on 17th August 1945, that has been the genesis of the biggest conspiracy theory in post-independence India. What would have been the face of post-war India, if Netaji’s grand scheme of an Azad Hind Govt. had materialised? That it would have been an authoritarian Govt. is a no-brainer given that Netaji had openly stated that democracy would not work, at least in the early days of a post-war India. Nevertheless, it is prudent to distinguish Netaji from other figures of authority in the 20th century. Unlike Hitler or Mussolini, Netaji was not opposed to any particular religious or racial group, and was summarily against imperialistic tendencies. For the time, he was also a progressive figure from a gender rights perspective, forming the very first all-women regiment in the Asian continent, and did not view women as being relegated to the household unlike the Nazis and the fascists. As an avowed nationalist, a lot would have been done in inculcating a sense of Indian fervour among the populace, emphasising a form of Indian exceptionalism, which was summarily discouraged by early Govts and to this day still is by left-leaning ideologues. Curiously though, Netaji Subhash Chandra Bose was also an open leftist from an economic standpoint, which under a more authoritarian regime, would have admittedly compounded the problems of a Soviet-style economy in post-independence India. In short, an Azad Hind rule would have seen a socialist (maybe communist), progressive, secular (in the true, French spirit), nationalist Govt., a truly unique phenomenon. The closest analogue that one can think for Netaji would have been Kemal Ataturk, who transformed the post-Ottoman empire Turkey into a modern, secular state, with emphasis on modernisation, and a focus on Turkish nationalism, under a regime that used methods which would have been considered anathema by avowed democrats. Netaji Subhash Chandra Bose in many ways was the ultimate dreamer, who never compromised on his dream of complete independence at any cost. This was perhaps his undoing as well, which alienated him from the Gandhians, and made him take decisions which had few chances of success. Nevertheless, he will always be remembered as the man who stood tall in the face of adversity, the man who did not let the elements, the regime, nor the status-quo challenge his dream. If it weren’t for people like him, the dream of an independent India would have been just that, a dream. Liberal-conservative, Indian, Anglophile, movie buff, beer afficionado. Not one for grandiose ideas, I believe the biggest change is that which happens within.